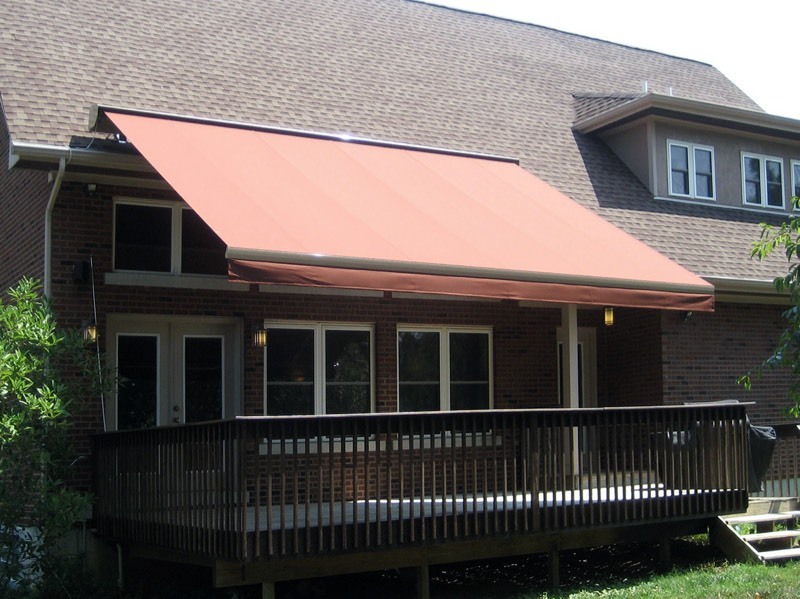 Retractable Awnings allow you to use your deck in the blistering heat by creating instant shade at a touch of a button. Do you have trouble seeing your big screen tv or computer monitor on sunny days? Window Awnings and Exterior Sunscreens can cut the glare while still allowing you the benefit of natural lighting. Protect your family from harmful UV rays. We proudly carry the prestigious Skin Cancer Foundation “Seal of Recommendation” on Sunsetter and Eclipse retractable awnings and products utilizing Sunbrella fabrics. Window and Door Awnings can prevent valuable items and furnishings from fading or wearing out before their time and provide weather protection for the exterior doors of your home. Do you have a patio or deck that goes unused because of the weather? Too hot? Too much sun? Raining? 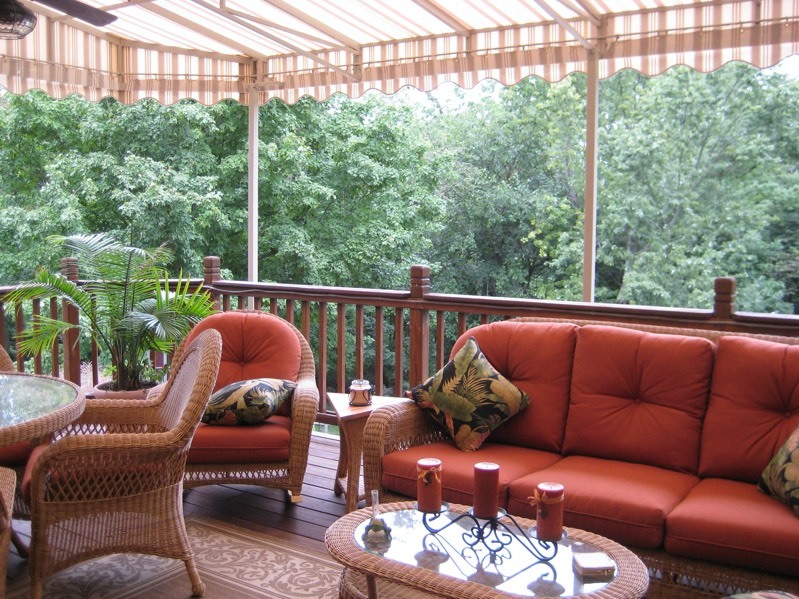 Add value to your home and reclaim your deck or patio by turning it into an outdoor room with a Patio or Deck Canopy. Add aesthetic value and curb appeal to your home. Create a dramatic entry with the Esquire Dome Awning. Awnings and solar screens can save you money on your energy bills by maintaining the temperature in your home more consistently year round. The US Department of Energy found that awnings can reduce solar heat gain in the summer by up to 65% on south-facing windows and 77% on west-facing windows. A shaded air conditioner will use as much as 10% less energy. Awnings and exterior sunscreens are more effective that interior shades and curtains because they block the sun before it enters your home!